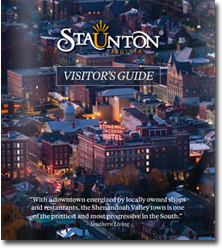 Valentine’s Day is fast approaching and we invite you to come celebrate love in Staunton. Our downtown is quite magical in every season with interesting architecture, renowned dining, nationally-acclaimed performing arts, and a variety of restful, romantic accommodations. 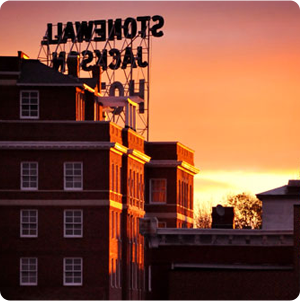 Make a memory or two with Staunton as your backdrop. This could be worse i guess! The Stonewall Jackson Hotel is downtown next door to the American Shakespeare Center’s Blackfriars Playhouse. In fact, the hotel offers a package that includes tickets to the Playhouse. 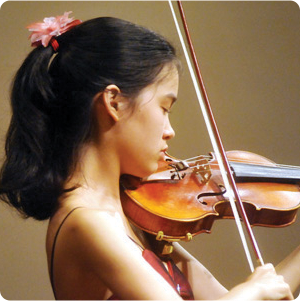 If the arts aren’t your thing, perhaps opting for the Bed & Breakfast package is the way to go. It’s the package that doesn’t fill your time, but says, “here’s your room and we’ll see you for breakfast in the morning.” You can find ways to fill the time, right? At Frederick House: A Small Hotel, just about anything you want to add to your Staunton experience is fair game. Roses and chocolates? Done. Strolls through history? Done. A picnic lunch to enjoy from a Blue Ridge Parkway overlook? Done. For your stay, we recommend the romantic Patrick-27, a romantic suite with a four-poster canopy king bed and an abundance of natural light. For those couples who have no plans of leaving their abode away from home, check out the hibernation option at Inn at Old Virginia. Book two nights in a Barn Bedroom Suite complete with king bed, hot tub, gas fireplace, and wet bar. This package also includes a $100 gift card for downtown merchants and restaurants, as well as a delectable Michael G. Harman Gift Basket loaded with goodies. The best part about this romantic getaway is that it’s half-off the second night. 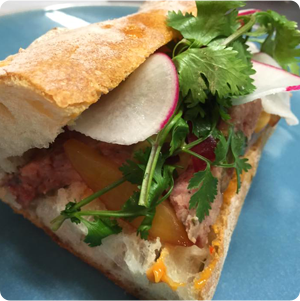 Zynodoa is one of Staunton’s top destination restaurants, so of course they’re rolling out a delectable prix fixe menu just for Valentine’s Day weekend. The special four-course dinner is an additional option to their incredible daily menu, and will be available February 10 through 14. Byers Street Bistro invites you to enjoy a special romance-inducing menu created specifically for Valentine’s Day by Chef Stephen Thacker. Pair your dinner with a tasty his-and-hers drink special! Get creative with an interactive cupcake decorating class with Paris Cake Company and hosted by Lewis Creek Market. Enjoy wine and snacks while you learn decorating tips from Pastry Chef Erinn Paris as you create a Valentine’s Day cupcake bouquet. Take home your newly decorated cupcakes and a Paris Cake Company apron! For tickets contact Paris Cake Company. Make a keepsake together at Sunspots Studios! For a limited time, two people are welcome to blow their own glass Valentine’s ornament together. Make an appointment to create something special between now and February 19. The Woodrow Wilson Presidential Library is hosting “A Very Valentine Tea” on Saturday, February 4 from 2 to 4 p.m. It’s a children’s event, so share some love with your smallest sweethearts (ages 6 to 11) for crafts, games, and a scavenger hunt, too. Want the perfect wine? Lewis Creek Market is hosting “Romantic Wines to Fall in Love With” on Monday, February 13 from 4 to 6 p.m. The educational wine tasting experience is free of charge for those 21 and older with a valid ID. 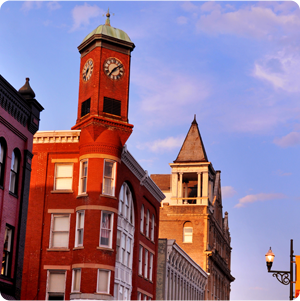 Make a plan for your great romantic escape and #LOVEStaunton.